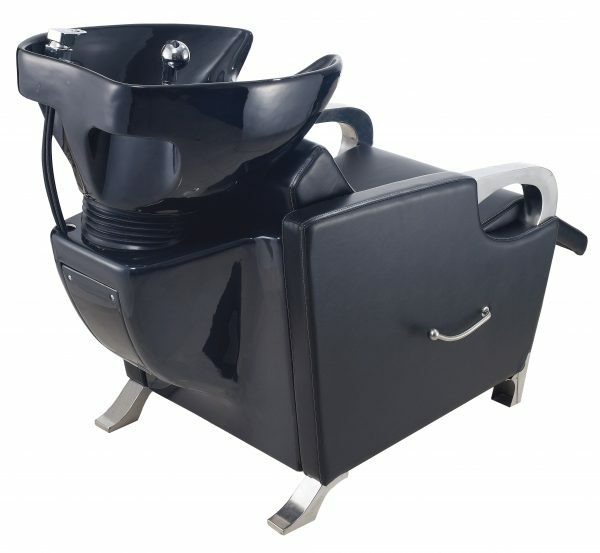 Dimensions may not be exact. Please verify before you place an order. 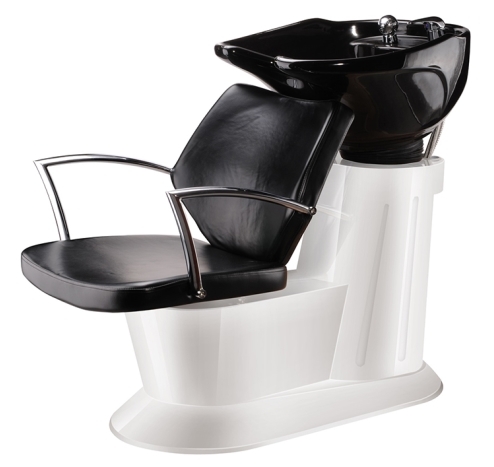 Stylish ceramic shampoo bowl is a very modern alternative to traditional shampoo units. 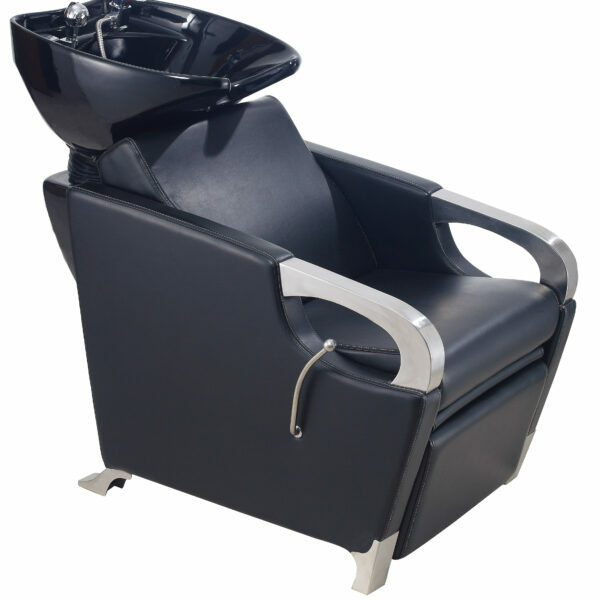 It is sleek and frees a lot of space in any salon or home. 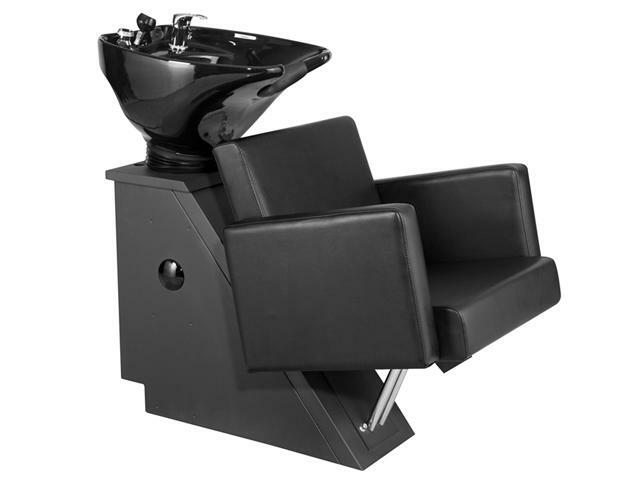 This shampoo unit can be used in any style salon. 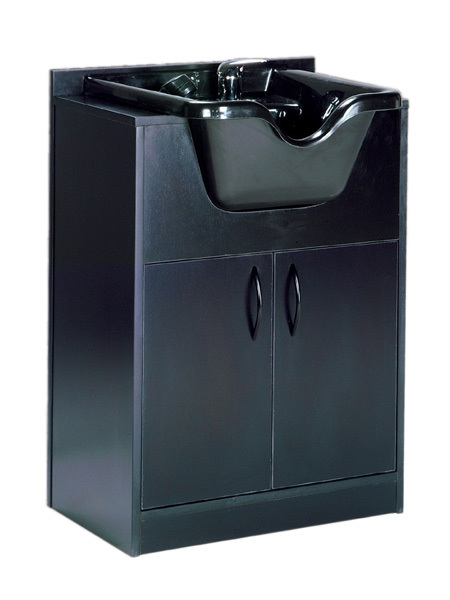 Sink features a hose receiver built into the bowl ledge. 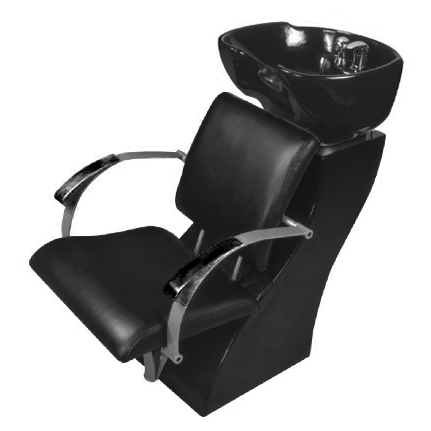 Bowl includes chrome faucet, black spray hose, and drain assembly. 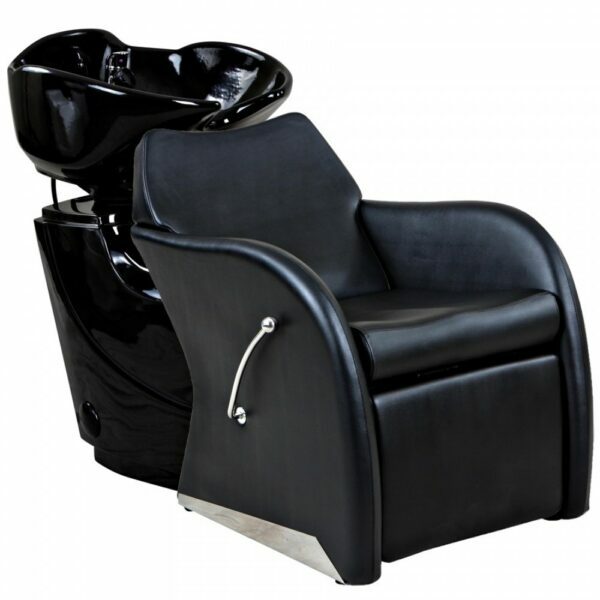 The chair with footrest is upholstered with high quality, comfortable commercial vinyl. 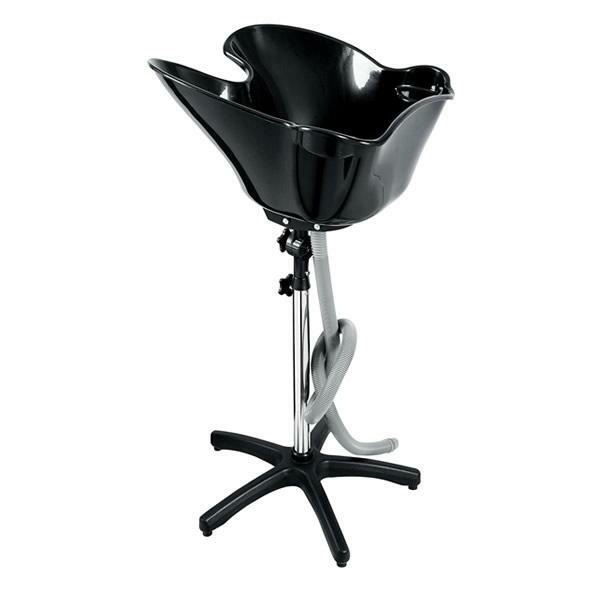 Its contoured design makes this chair very stylish and sleek. 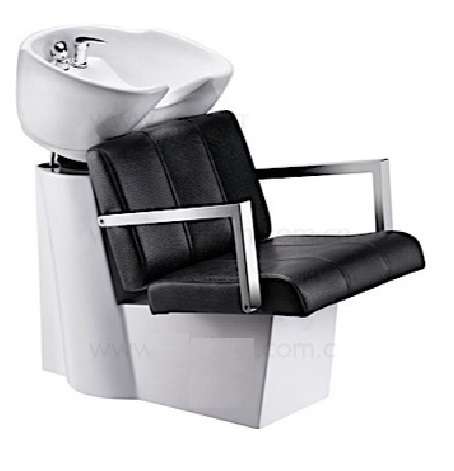 The back leans toward the shampoo bowl for less strain. 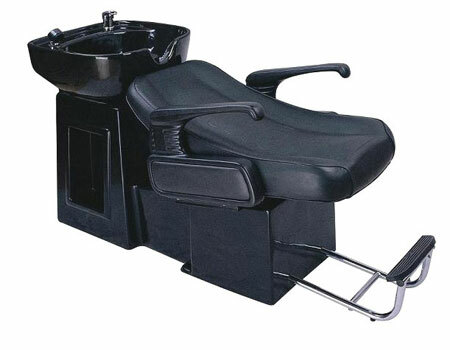 The front of the chair functions as a leg rest when positioned upward. 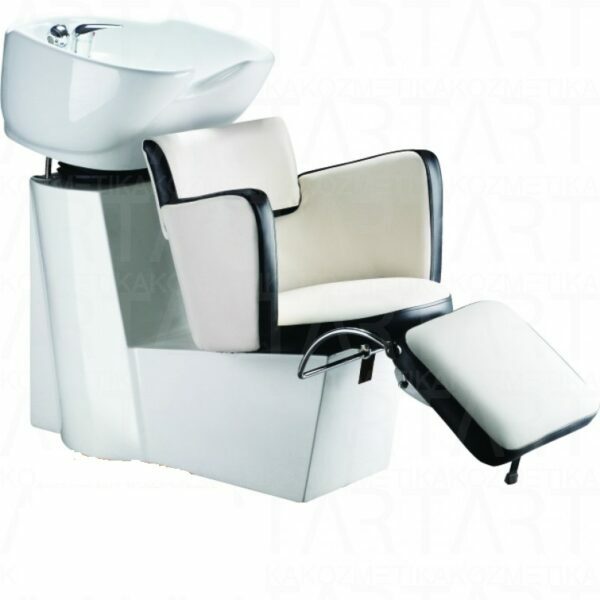 Space-efficient design provides style with practicality and with its solid construction, this chair will last a long time.